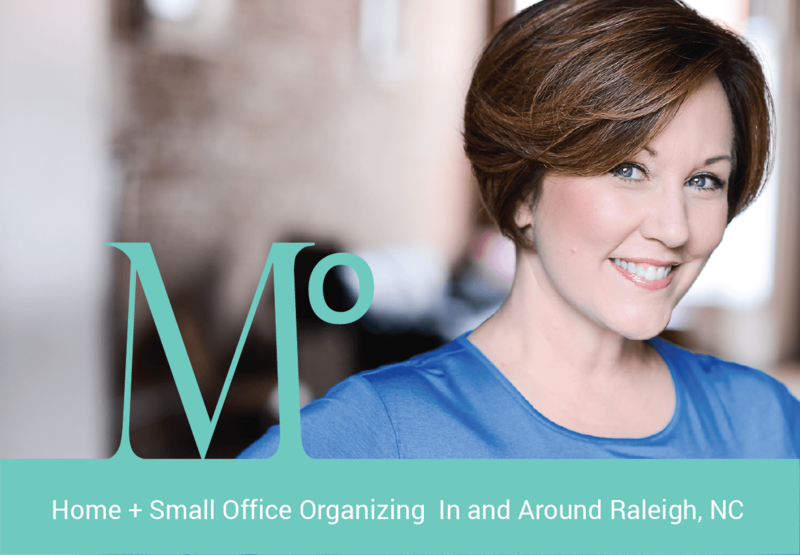 Metropolitan Organizing,® LLC provides professional organizing and decluttering services in Raleigh and Cary, NC. Encouraging our clients to love what they keep, and keep only what they love. Time and space are precious commodities. You can’t make more of them, but Metropolitan Organizing can help you manage them. Are you feeling overwhelmed? Do you have too much stuff? Is your home disorganized home? Do you waste time looking for things? Have you stopped inviting guests into your home? Wouldn’t it be nice to feel organized instead of feeling like you’re constantly trying to catch up? Take a deep breath and read about some of the home organizing services Metropolitan Organizing provides. Make your kitchen a workable, welcoming hub of your home’s busy activities by create savvy kitchen storage spaces. Ensure the food in your refrigerator and pantry are fresh and usable. See what you have stored and reach items easily. Maximize your storage space and keep only useful and well-loved items. Note: Because most attics, basements and garages are not air-conditioned or heated, we organize these areas during temperature-friendly times of the year. When my wife told me Metropolitan Organizing ® was coming in to organize our basement I was curious as to what that entailed. When I heard Geralin’s plan was to swap my large portion of the basement (dubbed “the man zone”) with the smaller area that was my wife’s office I wondered if this was a conspiracy. I gave in (two women vs. me, you do the math) and the results were surprising. Although I had more space with the old setup, I rarely used it. My wife now has a large office with enough room for a sitting area, craft table, and storage. I have a great room to watch ball games in, play darts, or just lounge around in. There was also enough free space to add a work room in for me once Geralin worked her organizing magic. I am now completely sold on the concept and will use Geralin again on future projects. Eliminate the clutter and put systems into place to be more productive and eliminate distrations. For many years I have wanted this kind of organization in my home office; I just didn’t know where to start or how to do it; now I have the tools. I can’t believe how easily I can file — and more importantly — retrieve things. The lighting suggestions have made a huge difference in my productivity as well. Now my home office is absolutely wonderful! Geralin has a rare talent; she is friendly, intuitive, and just plain smart! Maximize personal productivity and manage your time to live the life you’ve always dreamed of. Note: We’ve helped busy corporate executives, stay-at-home parents and small business owners learn to manage their time more wisely. We can help you, too. With the time management skills and tools provided by Metropolitan Organizing ®, I am now able to manage my family, our business and my busy 3 year old twins’ schedules. I was surprised how Geralin was able to help capture more time within my day. The best part about the whole process was how fun and genuine Geralin is to work with. I not only got my life back under control but enjoyed myself along the way. Geralin, thank you so much for the gift that continues to give… time! Note: We have relationships with high-end retailers who sell distinctive products you won’t find anywhere else, but we also know our way around your local office supply superstore. Whatever your style and budget, we can recommend excellent products to fit your filing and storage needs. I highly recommend Metropolitan Organizing ® and Geralin Thomas. Her wisdom, understanding and creative ideas make my life much easier. As a “paper procrastinator,” I have a hard time jumping in and getting things done (i.e. filed or pitched). Her direction is perfect in that it gives me focus, determination and a formula for success. My stacks are smaller and I don’t dread them any more. Geralin is a true gem and a pleasure to work with in any capacity. Effortlessly find something perfect to wear or grab what you need. Learn how to create a wardrobe that fits your personality, lifestyle and body type. Note: We have relationships with custom closet installers and know how to work our way through a home improvement store. Whatever your style and budget, we can recommend excellent closet solutions to fit your storage needs. When we purchased our new home, we laughed about how much excess storage it had. Three months later we stopped laughing, as we tried to cram yet more of our stuff into our large closets and cabinets. Recognizing that there had to be a better way, we called Metropolitan Organizing ®®, who promptly reorganized all of our possessions in half the space. We feel like we bought our new home all over again! Geralin helped us manage our modern life.